I'm Hooked! | Your home, only better. Maybe I’m lazy, but I have this thing for hooks! They’re so easy to use! 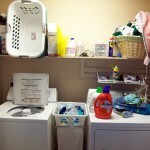 I like to use them in mudrooms, kitchen, bathrooms, kid’s rooms, laundry room and more! They can be both decorative and functional. 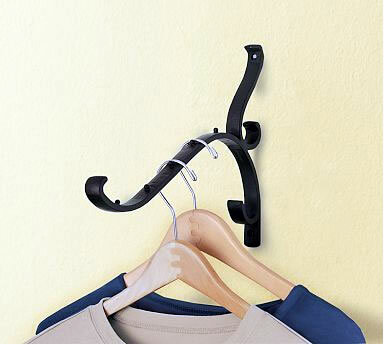 Single wall hooks just about anywhere. They’re great for stashing a spare set of keys, holding a hair dryer, holding a spare kitchen towel, etc. 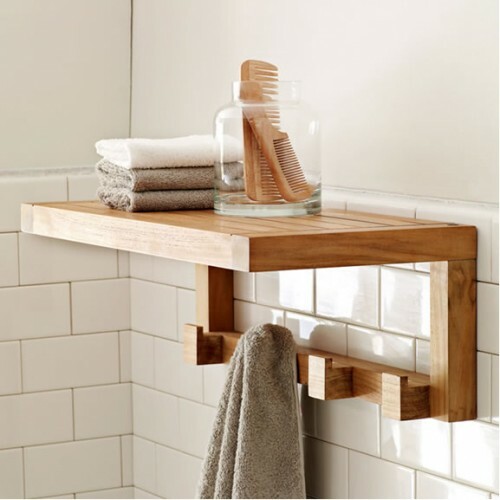 I like to use them in bathrooms to hold towels (I have a much better chance of getting the family to hook a towel than to fold it over a towel bar). 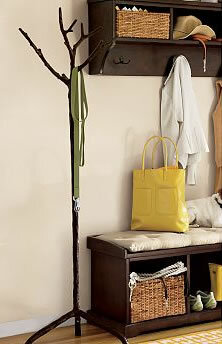 Multi-hooks are great for mud rooms and entry ways to hold essentials such as coats, backpacks, purses, and umbrella’s. 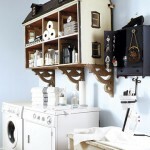 I also like to use them in kids’ rooms to hold bathrobes, jammies, clothes for the next day, etc. At least it’s an attempt to keep some stuff off the floor! 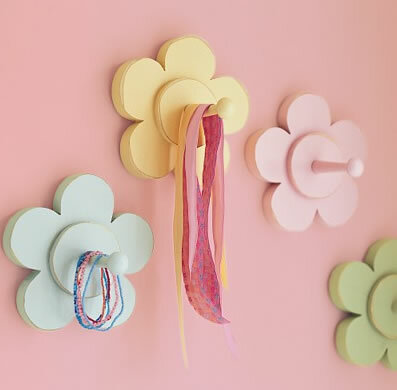 Hooks can be simple and hard-working, or serve as a decorative touch to a room. Here are a few I really like. 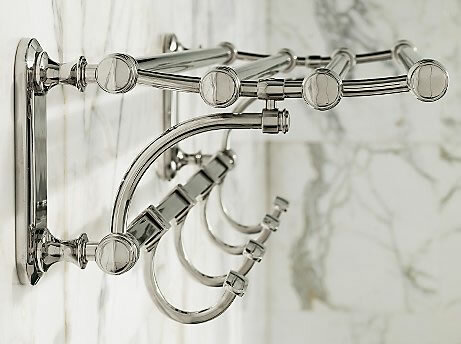 This first one is the mother of all bathroom hooks (called the “Train Rack” at Restoration Hardware). 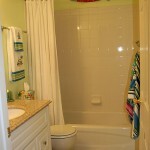 Not only can you easily toss your towel on the hook, you can store pretty soft towels on top. Talk about a splash of color and texture, huh? 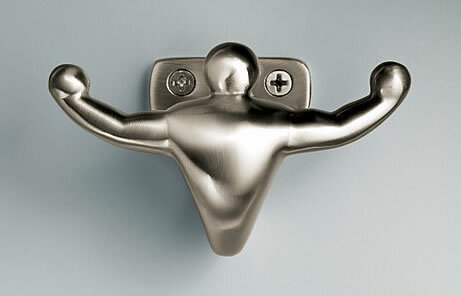 Wouldn’t this Muscleman Hook from Restoration Hardware be great in a work out room to hold your sweat jacket and towel? I think you might even work out harder! Not sure what I’d use this Pig Hook for, any ideas? Here’s a fun one from Organize.com – Hooked on Love – great for dining out when you really don’t want to put your purse on the floor (eew!) or hooked on the back of your chair. What about this idea from Pottery Barn – real inspiration to pick your clothes out the night before to streamline your morning! What about storing sports equipment? 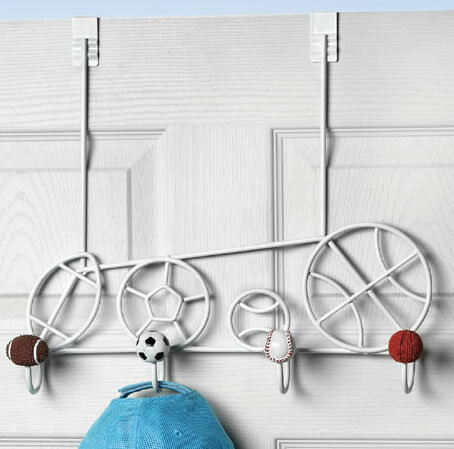 This over-the-door rack from Organize.com can fit just about anywhere. 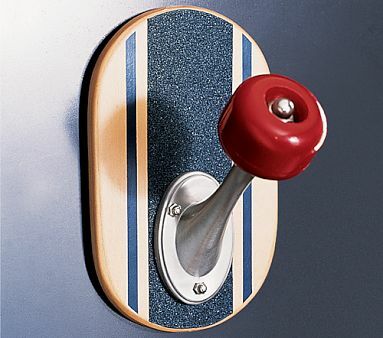 A hook can be functional and express a personal interest, such as skateboarding, like this one from Pottery Barn Kids. Lacking cupboard space in the kitchen? 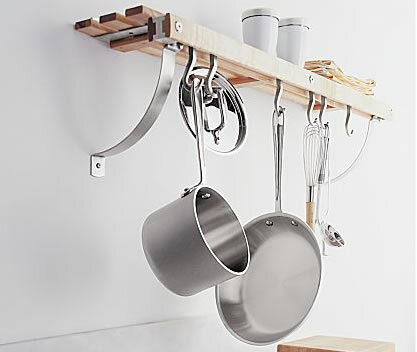 How about a wall-mounted pot rack from C&B? There you have it! Thanks for sharing in my obsession for hooks today! Might you be hooked on hooks as well? What do you use them for? Do share!!! « Does your home need to go on a diet? 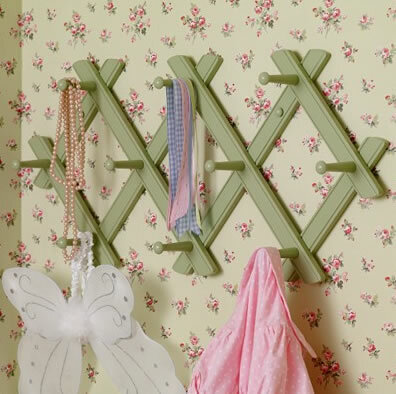 Hooks are especially useful in small rooms too! Thanks for checkin’ in! 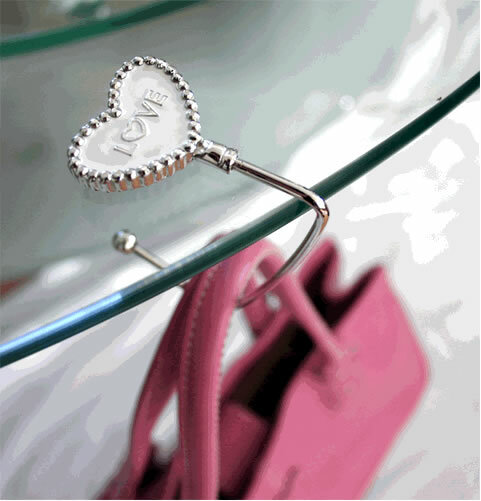 “Hooks can be simple and hard-working, or serve as a decorative touch to a room.” – So true! Oh, I love hooks too! Must have hooks every where!